Juana Rita Morales, 72, passed away on Saturday, September 1, 2018 in Laredo, Texas. Services are pending with Hillside Funeral Home, 310 Hillside Road. For more information please call 956-724-6060. 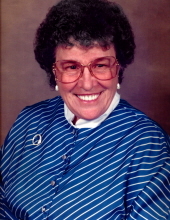 View The Obituary For Minnie Miller Meyer. Please join us in Loving, Sharing and Memorializing Minnie Miller Meyer on this permanent online memorial presented by Scanio-Harper Funeral Home. View The Obituary For Magdalena Peña Lozano of San Antonio, Texas. Please join us in Loving, Sharing and Memorializing Magdalena Peña Lozano on this permanent online memorial presented by Hillcrest Funeral Home. View The Obituary For Eleazar Valenzuela of San Antonio, Texas. Please join us in Loving, Sharing and Memorializing Eleazar Valenzuela on this permanent online memorial presented by Hillcrest Funeral Home. View The Obituary For Doris Faye Morrison of Canyon, Texas. Please join us in Loving, Sharing and Memorializing Doris Faye Morrison on this permanent online memorial presented by Bartley Funeral Home. View The Obituary For Mike Blanton of Call, Texas. Please join us in Loving, Sharing and Memorializing Mike Blanton on this permanent online memorial presented by Adams E.E. Stringer Funeral Home. View The Obituary For Lucille Seiler. 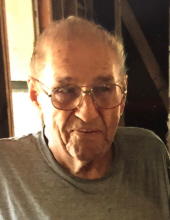 Please join us in Loving, Sharing and Memorializing Lucille Seiler on this permanent online memorial presented by Rhodes Funeral Home, Inc..
View The Obituary For Delbert Albert Stelter. Please join us in Loving, Sharing and Memorializing Delbert Albert Stelter on this permanent online memorial presented by MEMORIAL OAKS CHAPEL INC.
View The Obituary For Axel Delfino Amaro of Palacios, Texas. Please join us in Loving, Sharing and Memorializing Axel Delfino Amaro on this permanent online memorial presented by Taylor Bros. Funeral Home. View The Obituary For Rosie Mae Dannelley of Van Vleck, Texas. Please join us in Loving, Sharing and Memorializing Rosie Mae Dannelley on this permanent online memorial presented by Taylor Bros. Funeral Home.